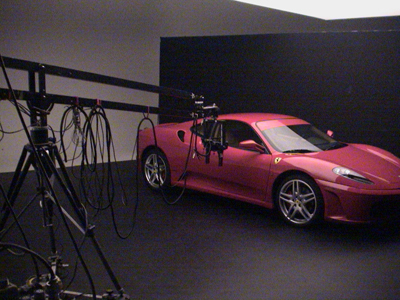 Our jib arm can extend from 14′ to 34′, can be set up anywhere – even in the back of a pickup truck or E-Z lift. Remote focus and zoom for any video camera. We have the Camera-Turret dual-axis system for pan and tilt. Can operate very smooth at either ultra-slow or very fast moves and includes a damping control for ease-in and ease-out. .